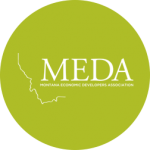 Video – 2019 Montana Economic Development Programs – Don’t Let the Sun Set on Montana’s Economic Development. – Please Encourage Your Legislator to Fund Them and Make Them Permanent! After researching the local market, Gibbs – who teaches retail strategies at Harvard University – said downtown Missoula could support 70,000 square feet of additional retail space by 2025. That equates to 25 to 30 new retail businesses and restaurants. There is one industry, however, that was missing in the series and it happens to be Montana’s second largest industry, tourism. Great Falls, Montana-based Pre-Engineered Fire Systems is helping fight fires across the United States for a decade without leaving the state. Pre-Engineered Fire Systems has built fire suppression units in the Electric City for the past ten years. Take a listen to these five interviews from outstanding women entrepreneurs describing the nitty-gritty behind their hard-won successes. We’re a small team based in Missoula Montana keeping the environmental component of our company strong through using funky and colorful fabrics made from recycled plastics and domestic production. In a new federal filing Tuesday, the Department of Labor claimed Oracle’s alleged discriminatory practices cost women and minorities an estimated $400 million. “We’re pleased to provide a custom solution that will improve the efficiency and productivity of the field personnel tasked with managing the properties of our customers in fire prone areas,” said Leland Johnson, CEO at ExcelliMatrix, Inc. Hold onto your tissues and your heart while watching this documentary about New York City kids with physical and mental challenges and how the horses at a riding academy in the unlikely center of Manhattan changed the course of their lives. We’re pleased to announce a new blog series to help you improve your digital marketing. TechLink’s staff of certified licensing professionals, knowledgeable and experienced, provides businesses with no-cost licensing assistance. A bill introduced in the legislature this week will broach the most controversial subject in Wyoming politics: income taxes. Historically, the boss typically has been older than the staff. But in the last few decades, several trends converged that made it more common for employees to have younger managers. Where women entrepreneurs who are doing good in the world come to connect, learn, share resources, have accountability and help each other do more good in the world! The competition, now in its eighth year, has featured a cross section of blue-chip companies, scruffy startups, and hungry young talents. As most Americans struggle with money management, some states are making schools teach kids about personal finance. What’s the best age to start? C & B Operations owns and operates thirty-seven John Deere farm equipment dealerships in six states and a diesel engine pump repair business. Civil engagement champion Tiana Epps-Johnson shares what’s needed to bring voting in the US into the 21st century — and to get every person to the polls. myColorado debuted with the capability to file driver’s license and vehicle registration renewals online, but it will be up to Szczurek to add more functions as the app matures. Citing his pledge to fight climate change by moving the state toward all-renewable electric power by 2040, Polis said the order will make it easier for residents to adopt electric vehicles while saving consumers money and providing widespread public health benefits. Dangerous By Design: Streets Are Only Getting Less Safe for Pedestrians – Reserve Street in Missoula! What’s going to happen to Formula One when it goes fully electric, and today’s lack of overtaking is added to tomorrow’s lack of sound to create the fastest yawn-fest on wheels? Amazon has begun testing six of the cooler-sized, six-wheeled robots in a neighborhood in Snohomish County, Washington, about 60 miles northeast of Amazon’s Seattle headquarters. Frontier Airlines is returning to Billings Logan International Airport and will begin flying nonstop to Denver “starting as low as $39 each way,” the airline announced Tuesday in Billings. An alternative to recycling — a system that isn’t working well these days. In the 19 years I’ve lived in Bozeman, I’ve watched my town gain an international reputation as some kind of paradise. Airbnb will pay for you to live in Italy for three months – Buonissimo! The catch? There is no catch. The site looks like a relic from another era; its website is clean and minimal, without the pictures, reaction buttons or comment fields that most social platforms have implemented today.